They say that the greatest gift to any man is a set of tools to become a better man. Every man loves to improve on his life (his legacy) by learning how to build something useful, discover a new and better shortcut, perfect on his new (or old) style, or embark on a new path in life which may start off as a simple hobby. This year, as you are reminiscing about Dad’s old standby gift ideas… consider this: It is great to give a gift that follows his current path in life, but there only so many gardening hats, beer mugs and remote controls a man can savor. What Dad really needs is a new experience – a new lesson on life. And that is something Bespoke Post knows a lot about. Over the past year we’ve had box after #boxofawesome (and inspiration) pass across our doorstep, and we will never be the same because of it. We’ve learned how to polish an old pair of shoes, spice up a barbecue, grow a real beard, decanter a red wine and age a classic cocktail the old fashioned way. Each of these boxes represents a new challenge for a man – an opportunity to improve himself by improving on his way of life. Bespoke Post makes this happen by giving dad a quality set of tools, the information to get started using them, and an opportunity to conquer a unique challenge and tell you about it later. 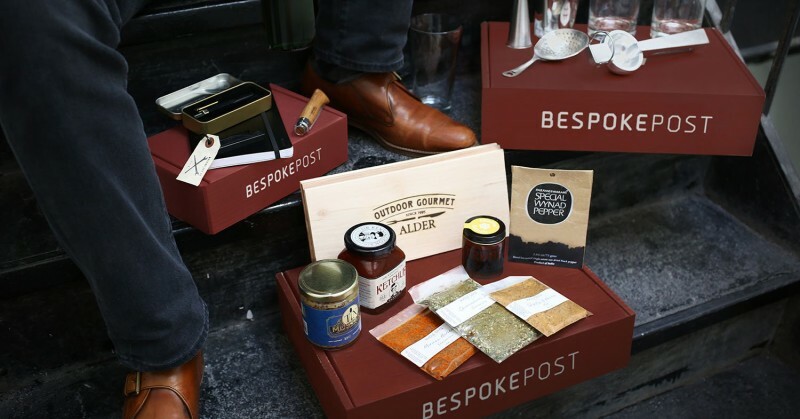 This month at Bespoke Post, dad can rediscover his passion for distilled whiskey, butcher a premium slab of meat with all the right dressings and survive a day in the urban jungle using only a bottle opener, ink pen, Opinel knife and notebook. And while these gifts can be offered as a one-time-only experience, you can also get dad a subscription to several boxes (if he’s been really good), offering up to a year’s worth of awesomeness every month. Dad may have taught you a lot over the years, but he doesn’t know everything. ‘Oh yeah, prove it,’ he might say to that. Okay dad, challenge accepted. Check out the boxes here.